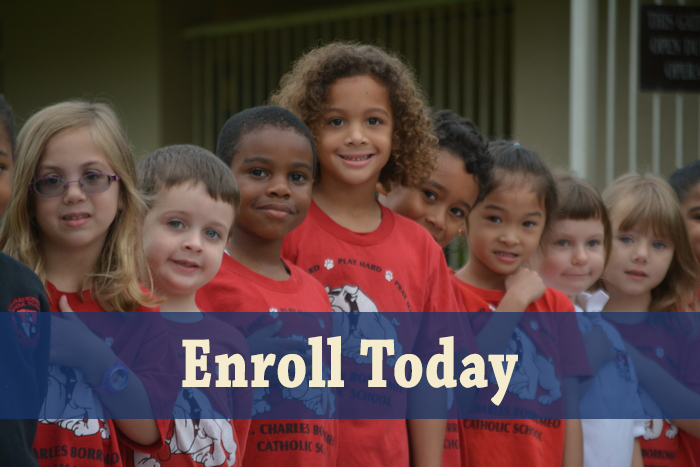 St. Charles Borromeo is a Catholic school in College Park that has served Orlando and the surrounding community for over 50 years. We are a school that is committed to producing respectful, responsible, and trustworthy students that are academically minded and confident in their faith. We believe each student is a unique child of God, and we work to establish their knowledge and compassion in Him and His service. Founded in 1955, St. Charles Borromeo Catholic School began as a junior high school with only 65 students. Since then, our school has grown to serve grades PreK3 through 8th grade. Located in College Park, we are situated conveniently on the same campus as Bishop Moore Catholic High School. Our academics are founded upon our core beliefs, and we provide a safe environment that promotes proactive learning and success. Our school integrates faith with the values of learning and life, as our motto “Cultivating Mind and Spirit” suggests. We believe in student learning, and we make that a priority at this school. It’s important to us that our students grow individually and develop into well-rounded members of society. We understand all students learn differently, and we are committed to providing each child with the greatest opportunity for success. In October of 2007, St. Charles was recognized as a Blue Ribbon School by the U.S. Department of Education. This prestigious award is given to public and private institutions that demonstrate academic superiority and outstanding student success. St. Charles was the only school in the College Park area of Central Florida to receive the award, ranking in the top 10 percent in the U.S. This award shows that we are dedicated to providing children with an excellent education. 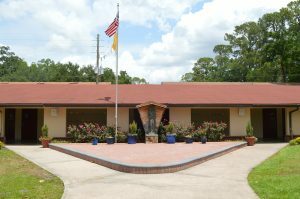 St. Charles Borromeo is a Catholic school in College Park in Orlando, Florida. Contact us today for more information about enrollment, academics, and with any other questions you may have about our program. If you’re interested in setting up a tour, reach out to set up an appointment at your convenience! You may also check out our calendar for a list of upcoming events.